Wow, this is my 250th blog post. Where does the time fly? 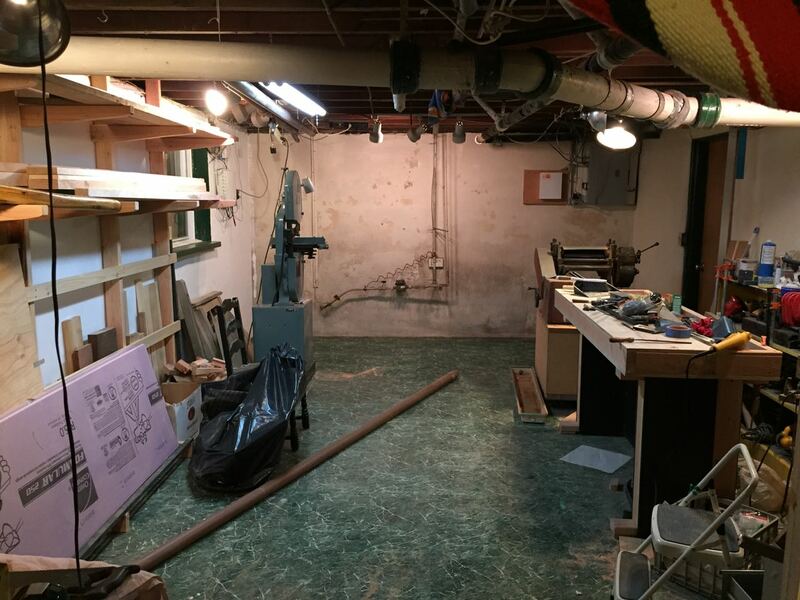 Well, the shop clean up is progressing nicely. 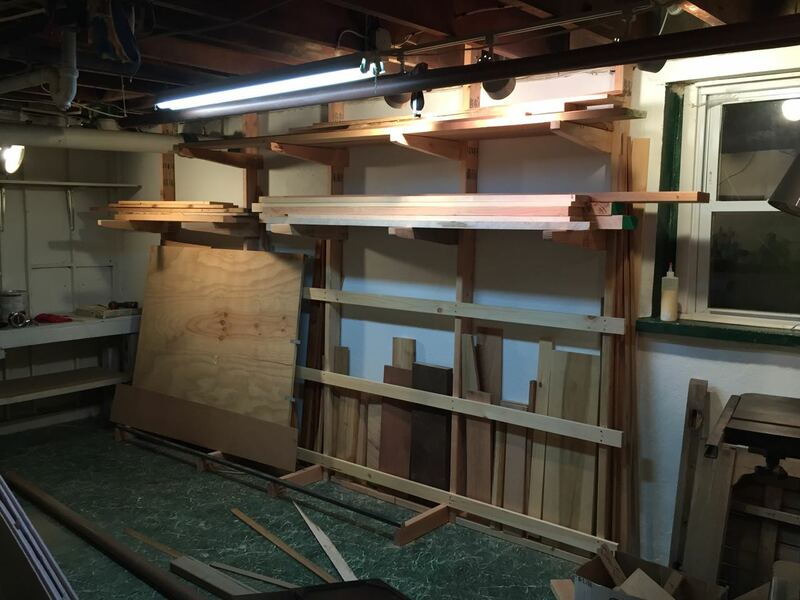 I cleared away the pile of rubble at the far end of my shop, picking out the good bits and storing them away neatly on my new wood rack, and chucking out the rest. And after a whole lot of bundling up, carrying to the street, sweeping, scraping, and scrubbing, here's the next wall ready for some paint. 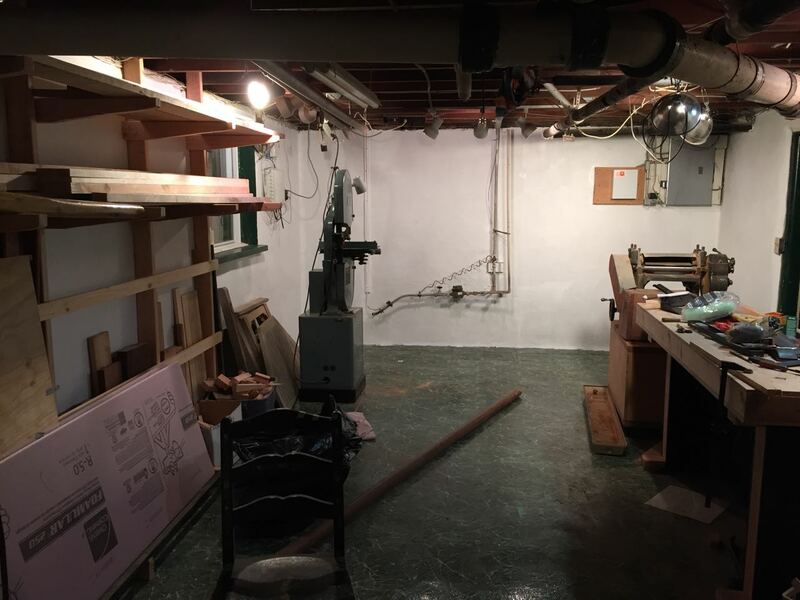 Today I applied paint, and voila, practically a new shop. Amazing what a lick of paint can do! Isn't it great to see the results without having to do any of the work? I envy you! Anyway, the clean up is coming along. Catching up with another job I did over the summer... Here's another one that looks pretty trivial, but actually took a lot of time. When I bought the boat from Bob down in Florida, he admitted that he couldn't make heads or tails of the Blue Moon's wiring. After owning her for several years, I was just as baffled. There were wires going everywhere, but none of them seemed to do anything. Plus the fuse panel was in a really awkward position, behind the boarding ladder, on the side of the footwell in the cockpit, waaaaaay out of reach. To throw a switch you had to remove the boarding ladder, get down on your hands and knees, and crawl under the bridge deck to get to it. What a pain. In the end, I decided to rewire the boat completely. 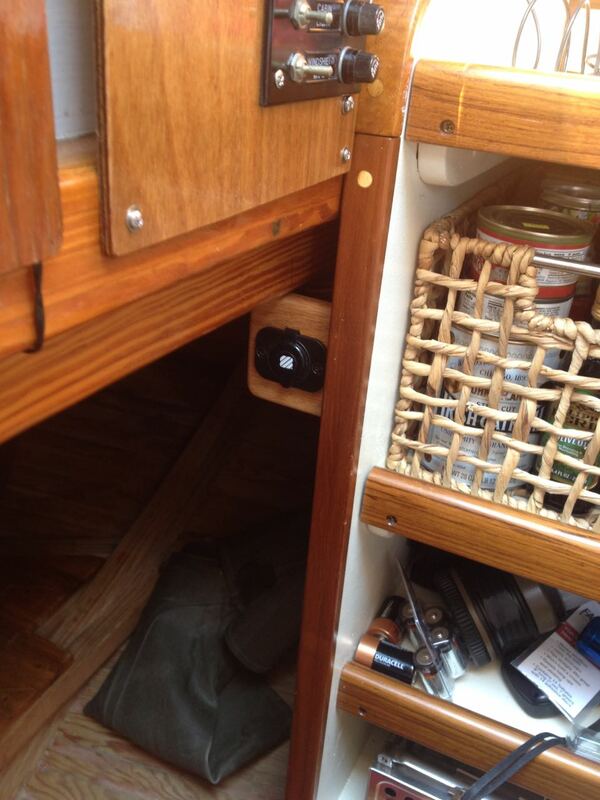 I ripped out all the old wire, moved the breaker panel to a useful position near the galley, and rewired the whole boat. 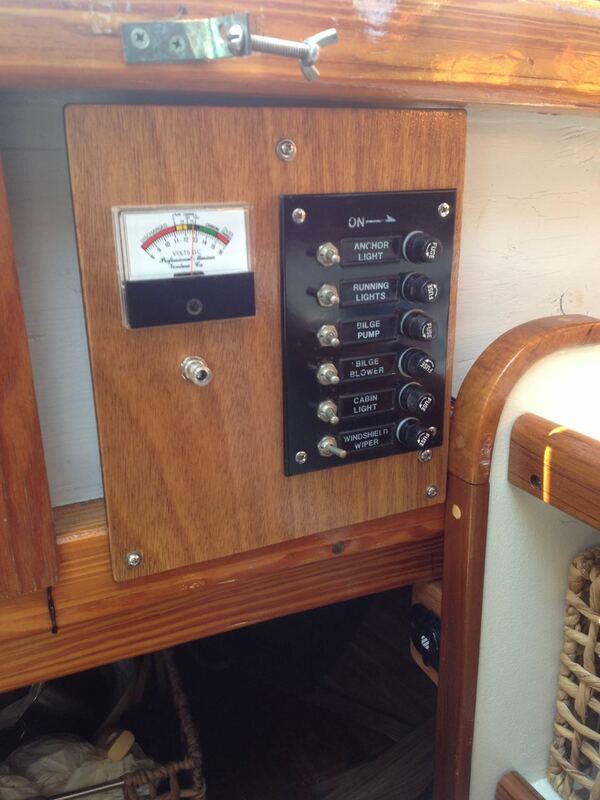 I made the little varnished mounting panel, and added a feature I liked from Eric's boat: a volt meter. The meter is only on the battery when the button under the meter is pressed in, so the meter can't drain the battery accidentally. 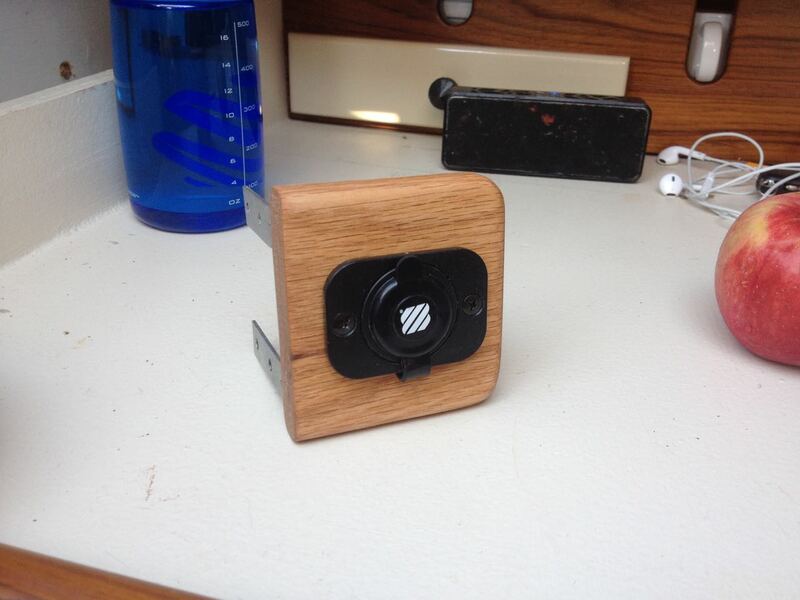 I added a cigarette-lighter style plug out of the way on the side of the galley. For some reason, I was worried that this little socket would get banged around when I'm stowing things away under the cockpit (lots of storage space, since there is no engine under there!) so I kind of over built it. But, hey, it's a good hand-hold. One of the main uses of the 12V socket, besides charging iPhones and iPads, is running my new electric cooler. I wanted to make the Blue Moon ready for spur-of-the-moment cruising, so wanted to dispense with the need for ice. I liked the electric fridges on both Eric's and Luke's boat, but didn't have room for a built-in. I thought this little portable Coleman might do the job. I'm not 100% convinced it is a good idea, yet. I will tell you how I tested it on a trip out to the Connecticut River, in a future post. I also mounted the charger for my VHF, which gave the radio a permanent home, and will help keep it charged so it's ready when (if???) I need it. My previous ad-hoc charging 'system' left me without a working VHF several times on my trip up the coast, which was very inconvenient. Nothing like trying to communicate with a bridge tender by blowing a fog horn. Not recommended. 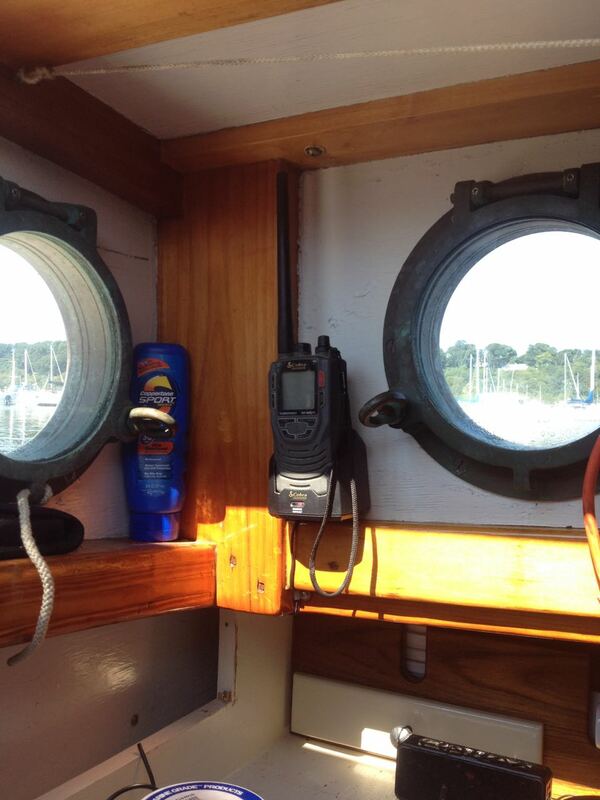 I have never needed a VHF on Long Island Sound, but you never know. Now I'm ready. Last but not least, I had to replace my cabin fan, but I can't seem to find a picture of that. 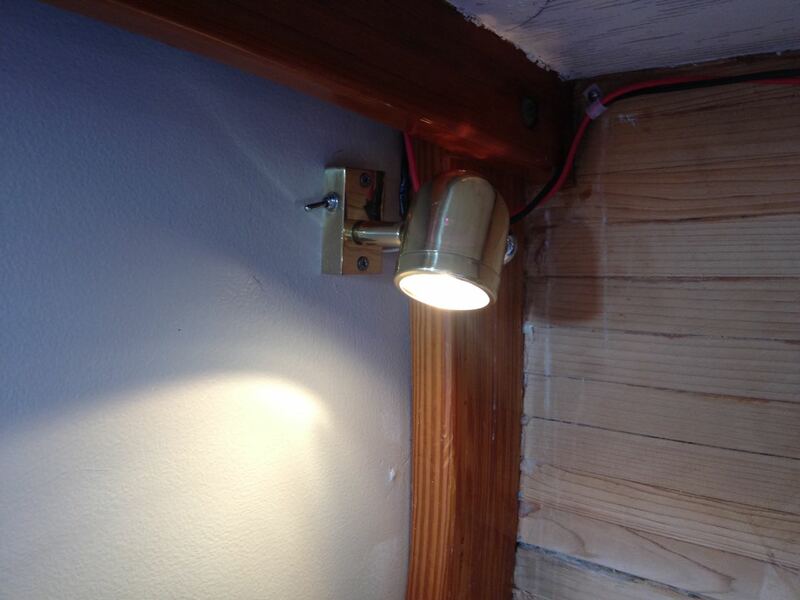 Bottom line, I can now turn on my running lights, or my bilge pump without crawling under the cockpit, and I have a couple of lights and a fan, and a utility plug to charge and run accessories. It isn't much, but it makes a difference. And it's all neatly wired in a way that will make it easy to add additional devices when and if needed. Oh, I forgot to mention that every circuit is protected by a fuse, of course. 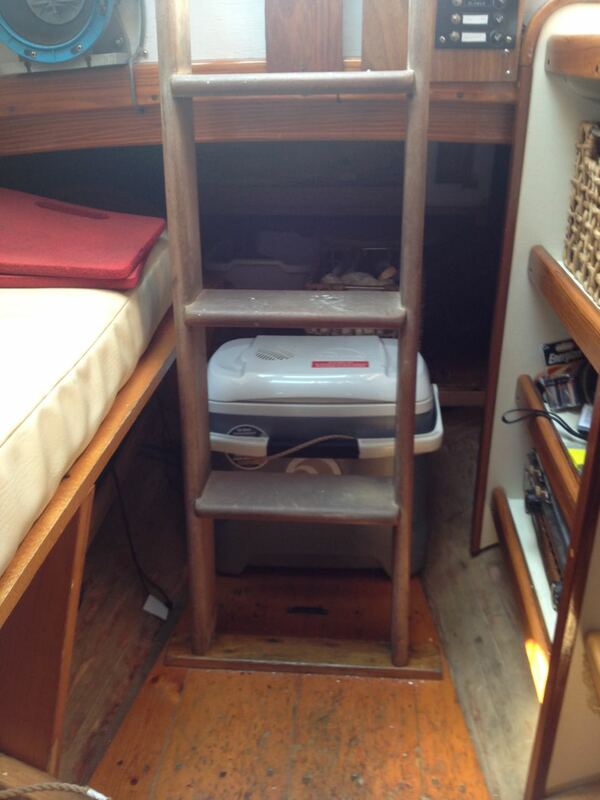 All in all, worth every minute crawling around in the bilge, or screwing wire holders into awkward spot.